Something profoundly magical emerges when one studies astronomical data combined with the study of certain teachings of the Ageless Wisdom. Modern science blends with ancient metaphysical truths to reveal a startling new look at religion, mythologies and the very essence of this thing called GOD. But first, its important to lay down a scientific structure of what we know about the actual physical universe, to provide a solid foundation for that which follows. Lets begin at the beginning, that place we call home. The most current understanding of our region of space goes something like this: Stars travel in groups or streams, moving through space in the same direction. Our sun with many other stars travel together in the Canopus Stream. The Ursa Major Stream contains Sirius A and B, and the Big Dipper, as well as about 160 other major stars and their companions. Because of their position at the very head or leading edge of this stream, the stars known as Ursa Major or the Big Dipper actually lead the remaining stars on their sojourn through space. 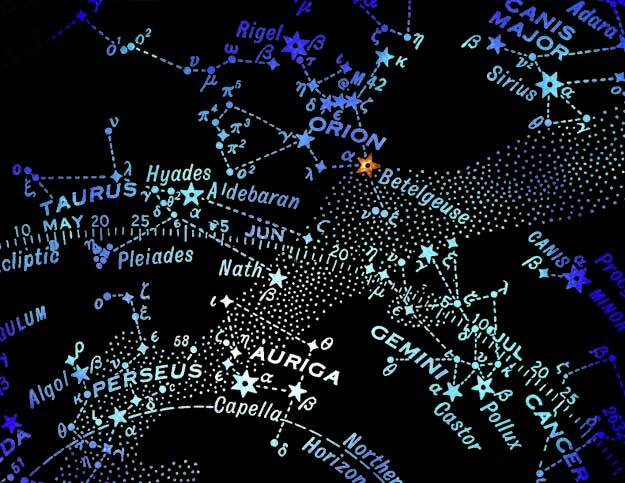 The third, the Hyades Stream, contains the Pleiades and many others. At one location, all three streams intersect ... our sun is located at this point. 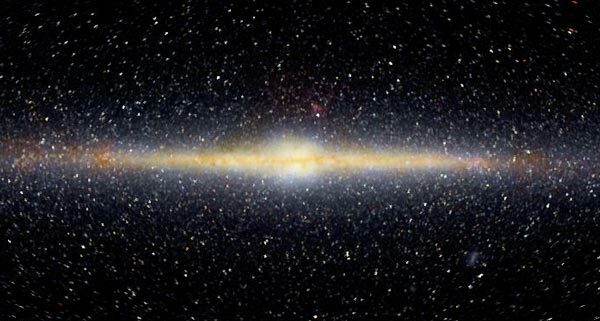 The vast streams of stars encompassing many light years all reside within an arm of the Milky Way Galaxy. To be exact, its not an official arm like the Sagittarius or Perseus arm, but a smaller offshoot called a spur  in this case, the Orion Spur, because it juts out from the Orion Arm of the galaxy. At the junction point where the Orion Spur meets with the larger galactic arm can be found one of the vastest stars known in the galaxy, Betelgeuse. A supergiant radiating unbelievable amounts of heat and energy at a distance of, fortunately for us, 520 light years, Betelgeuse knows no equal in sheer volume or area of influence. Over 160 million suns could nestle themselves within its stellar body during its most expansive period (like all variable stars, it fluctuates in size and luminosity). Seen by the naked eye as an orange-red color, closer observation reveals these colors as well as crimson, pink, violet and indigo. Noisily broadcasting itself via radio waves, its the "loudest" star we know of, due in large part to the tremendous amount of magnetic force emanating from its fiery heart. Spawned in the Big Bang, Betelgeuse is a first generation star, and actually gave birth to some, not all, of the stars in the Orion Spur in which we reside. 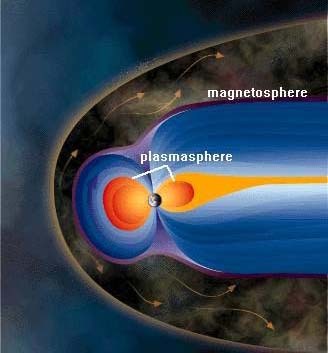 Like some immense cosmic mother, its enormous magnetic field most likely envelops all life forms within the Orion Spur. Its easy to stand in awe of this gigantic living being, even more so when its real relevance to us is known. The previous is the most current understanding modern astronomers have of our portion of space. This information is however, not new to humanity. Author of the Alice Bailey books, the Tibetan Dhjwal Khul began writing in 1919 about the nature of God. In doing so, he outlined a story so strange, so bizarre, it exceeded the best science fiction of any age. He taught that humanity and the entire solar system are influenced by conditioning "rays" that come from the stars, and that the Big Dipper registers paramount effect on all forms of life here on Earth. He also mentioned the "potent forces" reaching us from the star Betelgeuse. Modern science verifies his claims  its now common knowledge that our planet is being constantly bombarded with high-energy particles (radiation) from outer space. This information was not available in 1919 ... from where did this man derive his understanding? It's likely his insights came via meditation and contemplation. In Space the Earth's Energy Body Appears as a Great Being The Big Dipper, he further explained, is in fact the head center of a stupendous being whose subtle or etheric body is composed of seven solar systems, each acting as an energy center. Sirius makes up the third eye to this great being, the Pleiades its throat center and the Sun is connected to its heart center. This incredibly vast being is the prototype for the human form, in keeping with the ancient truism "As above, so below." Our human bodies are tiny miniature models of this great being (GOD) in whom we live. What the soul is to the human, Betelgeuse is to this solar entity. Our ancestors, perhaps understanding this reality, evidenced they held these star groups as sacred to humanity through the alignment of certain of their temples. A number of Greek temples were oriented to the rising or setting of the Pleiades. In ancient Aztec and Mayan tradition, the midnight culmination of the Pleiades was an event of great and ominous significance. In early Egypt and Sumeria, Sirius was considered the paramount god for thousands of years, and the Pleiades, an associate of that God. Certain African tribespeople even today hold Sirius as supreme entity for planet Earth and its people. The stars of the Big Dipper, prominent in the star lore of all lands, were referred to by the ancient Chinese as the "celestial palace of the Lord on High" and the "Star God of Longevity." The Hindus identified them as the Seven Rishis or Kumaras (Gods) of Heaven. Did these early stargazers correctly realize the relationship between these heavenly bodies and themselves? The Earth and its magnetic field encase the much smaller field of the moon; the Sun and its magnetic field encase all the planets extending well beyond the orbit of Pluto. Sirius A and B, with the white dwarf star generating a magnetic field about one billion times that of our sun, easily contain and envelop this entire solar system as well as likely many others; the progression is undetermined at this point. Indeed, it feels like the immense stars in the Big Dipper generate a field great enough to envelop our solar system as well. 1. The Earths orbital period (one year) is divided into weekly periods, of which there are 52. 2. The variable cycle of Betelgeuse (its period of growing bright, then dim) occurs every 5.2 to 5.5 years. 3. 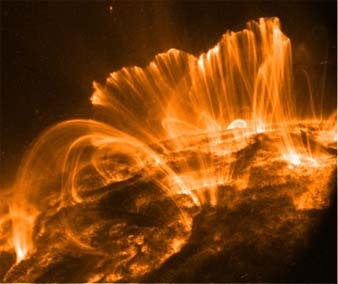 The Suns magnetic field reverses itself every 11 years; the mid-point of this cycle is 5.5 years. 4. The orbital period of Jupiter is 11.86 years  its midway point is 5.93 years. 5. The orbital period of the two stars in the Sirian system is almost 50 years (49.9). 6. The distance from our sun to Betelgeuse is 520 light years (52 x 10). The many synchronicities listed above are what prompted this research. Clearly something is afoot. It looks like the same frequency is involved, although stepped down to ever slower and slower vibrations. Just as well, really; if we were to receive the frequencies from Betelgeuse directly, probably life as we know it could not exist. (In fact, each magnetic field may buffer our world like an insulating blanket from the torrid passion of this great star.) Has Betelgeuse imprinted its cycle of 5.2 on everything within its vast reach, literally laying down the resonant code to which all other stars in the Spur and their planets must adhere? Additional research indicates that what scientists call magnetic fields are possibly synonymous to what occultists call the etheric body. Lets review what earlier teachings say about this subtle body, said to underlay all matter. The etheric body is composed of fine interlacing strands of high-vibrational material upon which the denser, physical forms are constructed. All living things possess this energetic gridwork composed of interlacing energy threads (lines of force) that unify matter and create organized forms. Because the threads are magnetic in nature, when enough of them intersect, vortexes of energy are set up. These whirlpools of magnetic currents attract particles to themselves, thus providing the "blueprint" or foundation upon which matter is build. The Hindu teaching calls small vortexes "nadis." When greater amounts of lines of force intersect, "chakras" or polarised centers of energy occur. But what does this mean to you? While interesting, of what practical import does it really have? Well, think about it. If Betelgeuse is laying down the "mother" frequency for the etheric plane due to its tremendous magnetic influence, can we create a higher vibration in our own etheric bodies by consciously tuning into its frequency? Harmonic resonance suggests that a note sounded will stimulate a similar note. We know when two violins are in the same room and someone begins to play one of them, the same string as the one being plucked will begin to vibrate on the other. Perhaps Betelgeuse really does imprint its frequency on all etheric material in the Orion Spur. If so, to work intentionally with "what is" can only hasten the evolutionary process. If Betelgeuse supplies energy from its magnetic field to everything within its wake, including us, some part of us already does resonate to its very high frequency. Conscious intent to match that frequency may foster dramatic results. Its the same tone for each note, just an octave higher than the note before. Employing the principle of resonance, each version of "B" will convey the same vibration, though at a different frequency or wavelength. Every time we think about Betelgeuse, visualize it, or meditate upon it, we are in some way raising our vibration to its level, even if only to the next resonance point along the scale. In this case, Low B might be the Suns stepped down version of the Betelgeusian frequency represented by 5, Middle B perhaps indicates the Sirian vibration, much higher and faster than the Suns, represented by 50 (5 x 10); High B may be Betelgeuse itself at 520 (5.2 x 100). Remember numbers can work on the same principal as soundwaves ... 5 is in resonance with 50 and 500, etc. Continuing with the premise that the human energy system is modeled after the great stellar being described earlier, might each of the chakras resonate to a specific star field? If so, intentional alignment through visualization and meditation with any of these stars (Sirius, the Pleiades, the Big Dipper, the Sun, etc.) 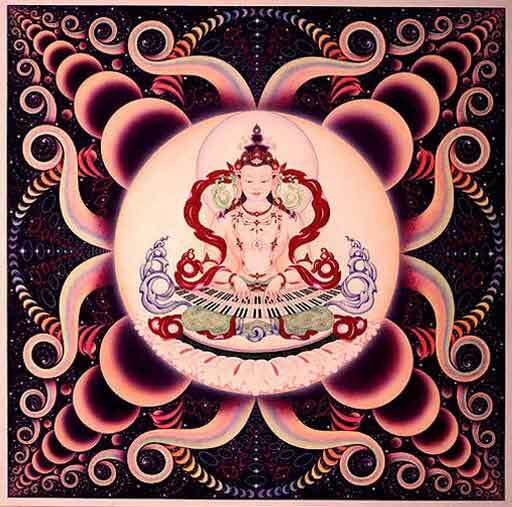 could potently stimulate the corresponding chakra in our own bodies. For instance, if you want to open your heart chakra, meditate on the Sun or Betelgeuse; the third eye, meditate on Sirius; the crown chakra, on the Big Dipper, and so on. 1. Image an orange-pink jellyfish above your head whose tentacles reach down around you. Imagine this to confer great amounts of energy to you. Notice any tingling sensations in your crown center that may occur. Hold this image steady in your minds eye until you feel a magnetic pull from above into the top of your head. Bask in the glow! 2. In your minds eye construct a large golden sunflower above your head. Heavy with seeds, it has flopped over on its stalk, with its flat surface parallel to your crown center. Visualize a line of energy emitted from its heart down into the top of your head. Notice how this makes you feel. 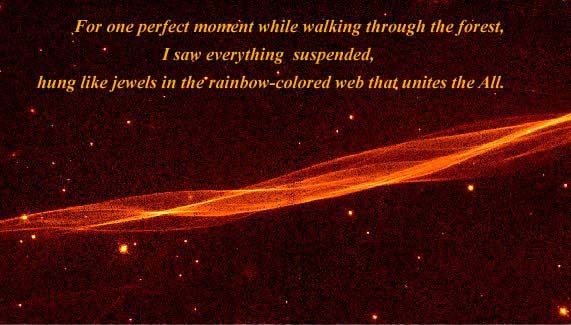 The line of energy now turns into a broad beam, pouring its light into the top of your head. Notice any heat or tingling sensations. Quite possibly science has not given the magnetic fields we live in the importance they may deserve. Dr. Robert Becker, author of Cross Currents, has done considerable research verifying increased admissions to mental hospitals during periods of magnetic field disturbance (storms) due to solar flare activity. Sensitive individuals report symptoms during storms ranging from irritability to stomach upset and diarrhea. It feels likely that we are affected not only by the Earths magnetic field but by the vaster magnetosphere of the Sun as well  and, almost certainly, ever greater fields that envelop our little solar system, on and on, into infinity. Does each overlapping magnetic field in which we reside resonate at a specific frequency, imparting its own unique quality or harmonic to the celestial choir? This question and many others remain unanswered. Through experimentation and use of ones intuition, much can be revealed. The stars really do guide us more than we could ever have imagined! The Night Sky ~ A Valentine's Star? "The Return of the Golden Mean" & "Music of the Spheres"
Diagrams are from The Cambridge Atlas of Astronomy, 2nd Ed.